Despite the fact that every workplace ensures the safety of their employees, injuries are commonly seen. 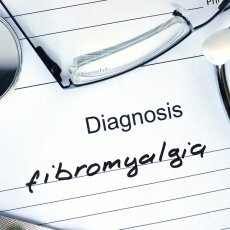 According to Tennessee Department of Labor and Workforce Development guidelines, you can always obtain medical treatment or a second opinion for your problems by a doctor or chiropractor of your choice (https://lwdsupport.tn.gov/hc/en-us/articles/203128490-What-if-the-employee-disagrees-with-the-authorized-treating-physician-s-opinion-or-treatment-plans-). 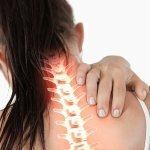 So, if you encounter a work related injury or personal injury such as neck pain, low back pain, falling from a height, you must immediately visit a reputed Chattanooga chiropractor for diagnosis and treatment. Here is how it will immediately benefit you. It is a common workplace injury that may affect your performance and productivity in a long run. Working while sitting in the same position for prolonged hours in front of a computer may lead to stress in the muscles. it may also cause vision problems and carpal tunnel syndrome. Surprisingly, all such problems are treatable with chiropractic care. Various methods like massage and spinal manipulations are done at a chiropractic center to heal nerve related problems. Since carpal tunnel syndrome causes tingling and numbness in your palms due to pinching of the wrist nerve, it can be successfully treated by this therapy. Unwanted falls can happen if you work on elevated structures such as roof or ladders. You may also fall while using a stairway during work. It may cause muscle injuries as well as spinal misalignment and joint dislocation causing severe pain. Your physician may give pain killers but the effect is usually short term. Any untreated problem may become complicated over time affecting your overall health. Chiropractic care can help you get rid of such injuries in an effective manner allowing you to recover fast and in a natural manner. Employees who need to drive for work purposes may encounter mishaps and are covered by the employer. Usually, broken bones and cuts are addressed by a physician in an easy manner but internal injuries are hard to diagnose and treat. A Chattanooga chiropractor will help you get rid of most of the joint and muscular pains in a noninvasive way, therefore, reducing any probable side effects. One of the most common problems arising from a vehicle accident is whiplash injury caused due to a sudden force tearing down the neck muscles and tendons. The pain can be severe if left untreated. Chiropractic care can ease pain instantly providing your relief. Workplace injuries resulting from overexertion are commonly seen in employees who perform pulling, lifting, moving or carrying heavy weighted goods. Although preventive measures are taken by both employer and employees to avoid such circumstances, the chances of injuries are still very high. Such overexertion injuries can be easily cured with chiropractic care. The therapy not only offers treatments but a chiropractor may help you improve your flexibility to perform better. Whether or not you have a work related injury, visiting a Chattanooga Chiropractor will help you in reducing the risks of possible injuries during work, especially if you are in a strenuous job. Trained professional in a chiropractic center will help you improve your range of movement and reduce stiffness that may interfere with your work. Besides, the therapy offers natural and effective ways to deal with a personal injury and help you improve your quality of life. Pediatric chiropractic care has emerged as an effective way to address musculoskeletal and nervous problems in children. According to the International Chiropractic Pediatric Association, spinal manipulative therapy is a safe way to treat kids of all ages. It is more like an alternative healthcare without the use of chemicals and drugs, reducing the chances of side effects. Here are a few benefits of visiting a Chattanooga chiropractor to treat your child. Chronic conditions in children such as headaches, earache, and neck pain can be effectively treated with chiropractic care. The spinal adjustments done by an expert will have a beneficial effect on the child’s health eliminating most of the chronic diseases in a short period of time. Since the treatment is non-invasive and does not involve drugs, it is milder on children. Parents often find pediatric chiropractic care as an effective treatment for birth traumas seen in their kids. A child is exposed to trauma during birth, whether normal, c-section or assisted delivery. Exposure to vacuum and forceps extraction may lead to misalignment of the spine, which later develops into a chronic health condition. Most of the acute conditions associated with accidental injury during birth can be corrected well with this technique. If not treated, spinal misalignment caused during birth may lead to various other problems later in their life. So, it is extremely important for any parent to immediately visit an experienced Chattanooga chiropractor to prevent further damage. If your child is having sleep disorder for no specific cause, it can be treated effectively and naturally with spinal manipulation. A chiropractor will examine your child and will repair the neural pathways that are interrupted. It will help heal the nervous system and improve sleep. The technique aids in better blood flow through the body, which promotes relaxation and helps your child have a sound sleep. During childhood, the brain’s ability to recognize and remember things is extremely high as compared to other phases of life. If it is compromised due to any probable reason, you child may have learning difficulties. Chiropractic care is a powerful method to boost the functioning of the brain, thereby reducing chances of developing mental disabilities. Chiropractic care is also beneficial for treating patterns of ADHD (attention -deficit hyperactivity disorder). In addition to other benefits of pediatric chiropractic care, it also helps in reducing the risk of many diseases related to spinal misalignment. A chiropractor may improve the overall health of your children by preventing or delaying many degenerative conditions such as osteoporosis and osteoarthritis. It increases longevity and prevents your kids from losing their health at an early age. As a parent, it becomes essential to take charge of your child’s health and treat them even before they start to show up. A pediatric chiropractic care will enable your child to grow better and enjoy a high quality of life. Reduced pains will increase your child’s focus and will improve their performance. The best way to start is to visit the most positive reviewed Chattanooga chiropractor, True Wellness Chiropractic to know more about the pediatric chiropractic treatments available. Back pain – Chiropractors have long been known as the health care professional to see if you are looking for results with dealing with back pain. Chiropractors are uniquely qualified to provide back pain treatments but also assist patients with what may be causing back pain, such as posture. Neck pain – Like lower back pain, when someone suffers neck pain, people know that the most effective, natural treatment is chiropractic care. Chiropractic services have shown to mitigate chronic pain associating with neck pain. Headaches – There are many causes of headaches and migraines. Chiropractic care has shown to assist in the relief and prevention of headaches from many causes including stress related, tension headaches. Health and wellness – Chiropractic care is an important part of one’s overall health and wellness program. The preventative health care benefits far outweigh any costs associated. Chiropractic care relieves stress and increases range of motion and mobility. This assists in preventing injuries and helping patients feel better. Personal injury – Let’s face it, at times the unexpected happens and you or a loved one suffers an injury due to a car wreck, a fall or a work related injury. When this happens you need a Chattanooga chiropractor that will work with you and your insurance company to make sure that you get the care that you need. They also provide the continuing care that might be needed due to an injury. Above are only five of the reasons, people are looking for chiropractors in Chattanooga, TN. If you or a loved one needs assistance with the above or any other reason, call True Wellness Chiropractic. They provide a 100% free new patient exam , consultation and a state of the art digital motion x-ray. Call now to schedule, 423-475-6438. 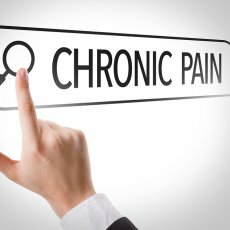 You may hear the term “chronic pain” tossed around at your Chattanooga, TN chiropractor’s office. The fact is that many Americans suffer from chronic pain. The most common types of chronic pain are best treated by both chiropractors and pain management specialists. Let’s look closer at the most common complaints and how chiropractic partners with pain management centers to treat them. Low back pain is obviously a big reason patients start seeing a Chattanooga, TN chiropractor or a chiropractor anywhere. But did you know it’s also a reason patients sign up at pain management centers? Pain management is a field of pain treatment similar to chiropractic in its nonsurgical nature. In fact, chiropractic becomes a facet of pain treatment that a pain management specialist might utilize to help a patient with lower back pain. For example, say a patient has pain in the lower back that can’t be identified (ie, it’s not because of a herniated disc or sciatica or another obvious cause). A pain management specialist will offer a variety of treatments to see which one will work—medication, acupuncture, physical therapy, etc. Many patients will find that chiropractic—a holistic treatment specifically focused on straightening the spine—works better than most other options. Neck pain is addressed similarly to lower back pain by both chiropractors and pain management practitioners in Chattanooga. Since neck pain is often related to back pain, even when the direct cause cannot be identified, a chiropractor is often as good an option as a pain management center. This is because pain management centers seek to do the same thing as chiropractors: relieve the patient’s neck pain without resorting to surgery. Since there are many conditions that cause neck pain , your health care professional in Chattanooga (whether a chiropractor or a team at a pain management center) will attempt to identify it before assigning treatment. In a lot of cases, the source is a musculoskeletal issue, which can be resolved through chiropractic. Migraine treatment in Chattanooga chiropractic and pain management facilities is gaining ground, largely because simple medication just isn’t cutting it for many sufferers. 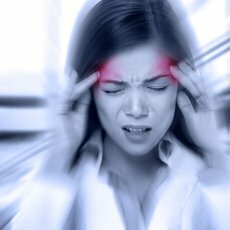 Although the true cause of migraines is still largely a mystery in the medical community, patients can avoid headache triggers. When this avoidance becomes overwhelming, patients seek help, and the nonsurgical offerings by both pain management facilities and chiropractic offices is appealing. Both seek to help patients live as pain-free as possible by partnering with them. This partnership results in coaching to effectively avoid triggers (like stress) and holistic treatment like spinal manipulation, which has been shown to reduce the occurrence of migraines. Finally, the last most common type of chronic pain seen by pain management specialists is knee and joint pain. Since chiropractic is specifically targeted to treatment ailments of the musculoskeletal system, this makes it the perfect treatment for joint pain. Knee pain (and any joint pain, really) is usually caused by injury or illness (such as arthritis). Pain management centers target the pain through physical therapy, medication, and a number of other nonsurgical treatments, among them chiropractic. Chiropractic patients in Chattanooga, TN with knee or other joint pain can expect to see results as the joints themselves are brought back into alignment during an adjustment. Nonsurgical treatments like those explored in this post are a great option for knee or other joint pain. Have you ever been to a pain management center? What about you—have you ever been a chronic sufferer of pain in the lower back, neck, joints, or ever had migraines? If so, did you seek out a pain management center or a chiropractor? Leave us a comment telling your story! Do you ever get tension headaches? If so, you’re probably getting a lot of them right about now! Even holidays like Valentine’s Day can be stressful. If you’re working in an industry that manages Valentine’s Day for the public, your headaches might be increasing. Here’s why you should look into a Chattanooga, TN chiropractor visit ASAP. The interesting fact of the matter is that the exact source of tension headaches isn’t known. You’d think it would be pretty straightforward—when you get tense from stress, the muscles in your neck and shoulders contract, cutting off blood supply to muscles in the head. But according to Mayo Clinic , research suggests that muscle contractions aren’t the cause. We do know what triggers them, though. 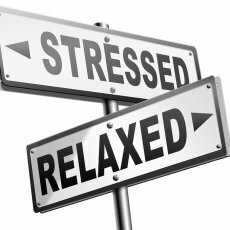 Mayo Clinic suggests stress is the biggest hitter. 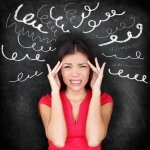 This British health website lists other common tension headache triggers as anxiety, squinting, poor posture, dehydration, skipping meals, bright lights, loud sounds, and certain smells. You may also find that you get a headache if you wear a headband too long or wear your hair up in a bun all day. During winter in Chattanooga, the most common trigger is still probably stress. For anyone working in retail or dealing with the public in early February, the pressure to get purchases out the door to please customers can bring on a headache more than once a day. Chiropractic is good for treating tension headaches without adding medication to your bloodstream or calling for an invasive procedure. It can be a reliable place to turn if you don’t like popping ibuprofen or are having a hard time getting rid of them on your own. In an adjustment, the bones in your spine are aligned correctly. When this occurs, the muscles in your back that were compensating for an off-balance back can be released from their tension, leading to release of tension all over the body. Makes sense that it would affect the muscles in your neck and shoulders that are contributing to a tension headache, doesn’t it? This chiropractic article goes into depth about how chiropractic care works with your body to relieve headaches. Any Chattanooga, TN chiropractor will tell you that there are a few tried-and-true ways to avoid getting tension headaches. One answer is simply put: to avoid your triggers. But there are other tips to steer your lifestyle away from the triggers. The American Chiropractic Association (ACA) offers a few easy tips. For one thing, if your work demands that you sit in the same position for long periods of time, it’s time to start moving. Take frequent breaks (every 30 or 60 minutes) to move around and stretch if you sit in front of a computer all day, work at a sewing machine or other table-based trade, or need to sit and read a lot. Stretches like these on breaks will help keep your blood circulating. If you feel a headache coming on, a low-impact aerobic exercise like walking or swimming will often help. Drink 8 glasses of water a day to avoid dehydration. Don’t clench your teeth. Your teeth should never actually touch unless you are swallowing. Clenching your teeth places tension on the muscles surrounding your TMJ joint, leading to TMJ irritation and tension headaches. Once you learn how to avoid triggers by maintaining a lifestyle that keeps muscles from remaining tense, you will probably find that your tension headaches decrease in frequency. But remember, a Chattanooga, TN chiropractor is always available to help your body relax, too. Have you ever seen a chiropractor during a holiday? Chiropractors in Chattanooga do usually see an influx of patients around the new year, for many more reasons than just tension headaches. But that doesn’t rule out the beginning of the year as the perfect time to start seeing a chiropractor in Chattanooga! Try one out today if you have repeated tension headaches. Have you ever seen a chiropractor for tension headaches? Or been to one during a holiday? We want to know your story, so leave us a comment right now! If you’ve ever had shoulder pain in Chattanooga, you know how annoying and painful it can be. Many people will simply endure the pain, but did you know you don’t have to live like this? What we mean is that even though some shoulder conditions like frozen shoulder do resolve over time, it can take a while, and some patients will simply deal with the pain until it goes away. But who wants to live like that? Let’s find out how a Chattanooga, TN chiropractor can help. The name really tells it all for this one. A frozen shoulder is a shoulder that has drastically reduced range of motion, stiffness inhibiting movement of the arm to a very limited space. While your shoulder isn’t completely “frozen,” the restricted range of motion might as well mean a useless shoulder. And while Chattanooga doctors know what happens to make a shoulder cease its movement, they don’t know why people get it. 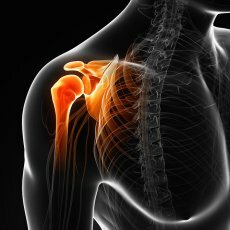 A shoulder freezes when the capsule of connective tissue housing the bones, ligaments, and tendons that make up the shoulder thickens and tightens. But why this capsule tightens remains a mystery, though some are more prone to it: diabetics and those with previous shoulder injuries. Yes, a frozen shoulder is an odd condition to have, but you don’t have to wait it out if you don’t want to. If you don’t want to wait 3 years for your shoulder to heal—and who does?—chiropractic is a very viable treatment option. Although traditional doctors will recommend stretching and strengthening via a physical trainer and will offer steroid shots, chiropractic can usually resolve the issue within a few non-invasive treatments. 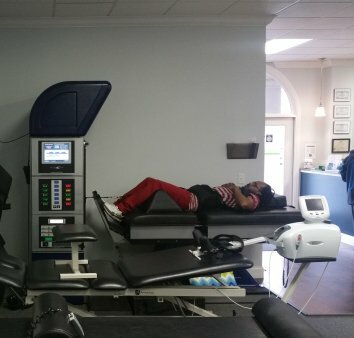 Spinal manipulation is the primary treatment offered by any Chattanooga, TN chiropractor, and its practice promotes proper communication of the Central Nervous System. The spinal column houses the spinal cord, which connects the body to the brain. When vertebrae are misaligned—which is extremely common—this causes the nervous system to communicate poorly, often leading to pain. Once your spine is aligned, the neck functions better, leading to better function and mobility in the shoulders. The other treatments on our list above all complement the spinal adjustment, helping stiff muscles to loosen and allow the vertebrae to stay aligned. Here in Chattanooga, we have lots of chiropractors who can offer this relief from a frozen shoulder. Have you ever seen a chiropractor for a frozen shoulder? If your shoulder is frozen, your quality of life has been impacted. During the frozen stage, which chiropractor Dr. Akhavan tells us usually lasts up to 9 months, the pain is largely replaced by stiffness. But not being able to reach is equivalent to chronic pain . Don’t let a frozen shoulder keep you from enjoying life. 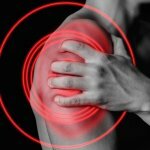 Do you live in Chattanooga and have a frozen shoulder story? Leave us a comment and tell us—did a chiropractor help? Did it last 3 whole years? What was your quality of life like? We’ll respond with a comment of our own!